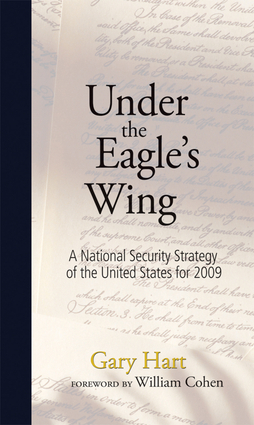 An essential book for understanding where the United States is heading and a primer for our future political leaders, Under the Eagle's Wing, provides a visionary and sound national security strategy for the new century, one in which the United States and other nations draw strength from each other. With his usual flair for sensible policy solutions, former U.S. senator and best-selling author Gary Hart offers an enlightened approach to threats such as terrorism, disease, and climate change, treating them as global problems that require global solutions. Hart speaks from experience—he served on the U.S. Commission on National Security for the 21st Century, which predicted the events of 9/11—and in this book, he not only reflects on the lessons of our post-9/11 environment but also provides a roadmap for a more secure nation and world. Gary Hart represented the state of Colorado in the U.S. Senate from 1975 until 1987. He is currently Wirth Chair Professor at the University of Colorado, distinguished fellow at the New America Foundation, and a member of the Council on Foreign Relations. He was co-chair of the U.S. Commission on National Security for the 21st Century.